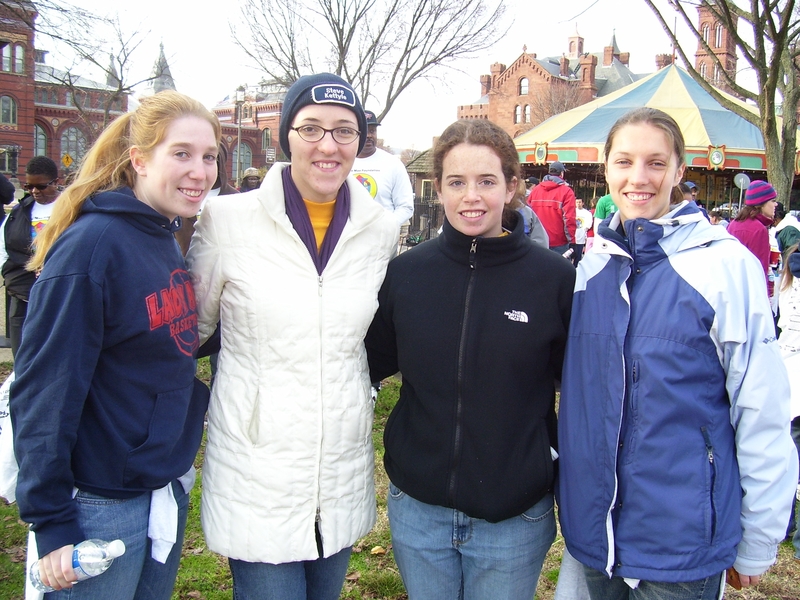 Liz (far right) with sister Katie (in the hat) at a past Walkathon! “I started overnight volunteering when I was in grad school for women’s studies. I wanted to do something tangible for women instead of just talking about it.” … and Liz has been a dedicated volunteer ever since!